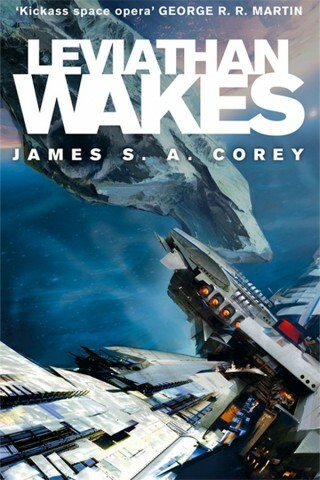 Syfy Channel is going back to outer space, giving a straight-to-series order to The Expanse — a new series based on the best-selling novels by James S.A. Corey (the pen name of writers Daniel Abraham and Ty Franck). 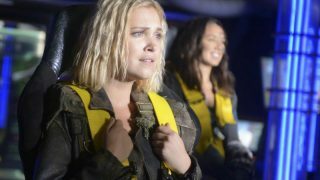 Syfy has given the show a 10-episode order. Mark Fergus and Hawk Ostby (Children of Men, Iron Man) will write and executive produce. Sean Daniel and Jason Brown are also on the executive producers list, along with Alcon Television executives Andrew Kosove, Broderick Johnson, and Sharon Hall. Original novelists Abraham and Franck will also be producers. The book series includes the novels Leviathan Wakes, Caliban’s War, and Abaddon’s Gate — the first of which was nominated for both Hugo and Locus Awards in 2012. The series has been endorsed by A Song of Ice and Fire author George R.R. Martin, and is published in 17 countries. Alcon Television is the new TV arm of Alcon Entertainment, which has film credits including The Blind Side, Insomnia, and The Book of Eli. Syfy is on a hot streak in commissioning new scripted science fiction and fantasy projects, including space-based mini-series Ascension, TV adaptations of Dominion (premieres this June) and 12 Monkeys (January), zombie drama Z Nation (late 2014), and mythology series Olympus. Syfy’s returning series includes Defiance (June), Helix (January), Haven (Fall), and Canadian imports Lost Girl, Bitten, and Continuum. Warehouse 13 also wraps up with its shortened, final season starting this month.